I love a bath. In all seasons. You read that right, I love baths even in the summertime. Summer baths are super helpful in cooling an overheated body and soothing sore muscles from all that summer movement. What makes bathtime even dreamier is the addition of an herbal bath bouquet, which is literally fresh flowers and herbs from your garden bundled up and added to the bath. It’s like you’re bathing in a big cup of herbal tea, which makes your body very very happy. I found adding herbs to my bath helps to ground me in gratitude for my life and the gifts of mama nature. She heals, she soothes, she coos at us as we bathe. 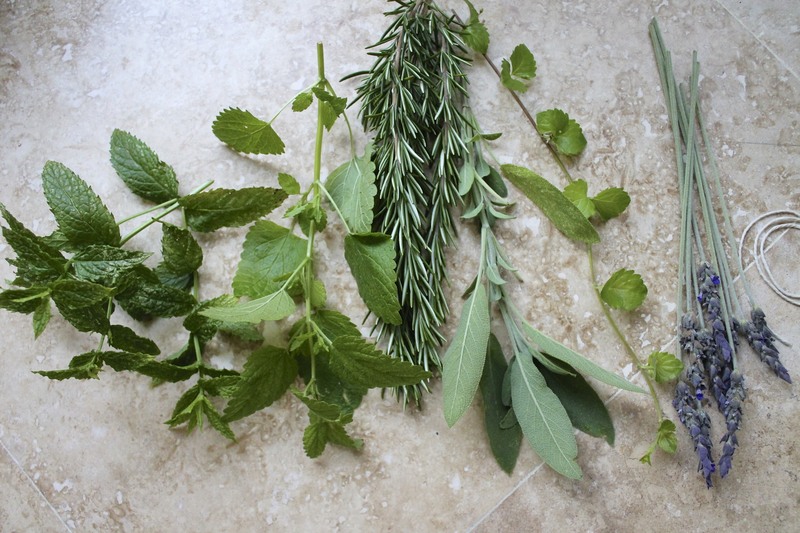 If you have a garden or nearby place you can forage for fresh herbal sprigs, pick some of your favorites. You could also run to the store and grab some there. Some examples: lavender, eucalyptus, mint, lemon verbena, lemon balm, rosemary, sage, thyme, oregano, and chamomile. I’ve used spearmint, lemon balm, rosemary, sage, yerba buena, and lavender. Bundle the botanicals and wrap with twine. 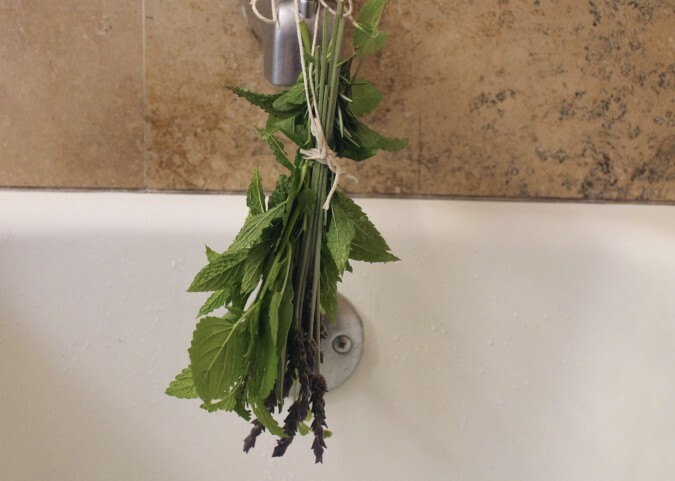 Hang under the water faucet of your bathtub, allowing the water to run freely through the herbs before hitting the tub. Once your tub is full, plop those herbs right in the water (or leave them hanging) and soak up the healing and aromatic elements of mama earth.